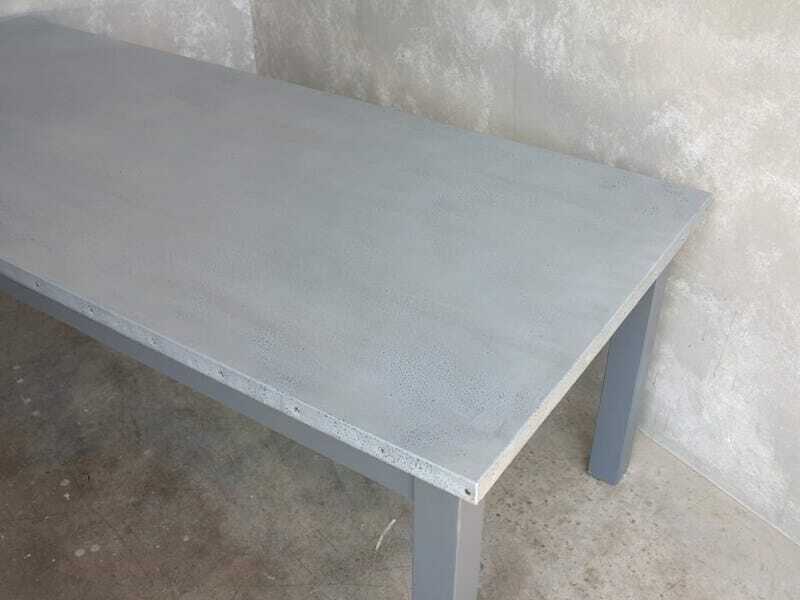 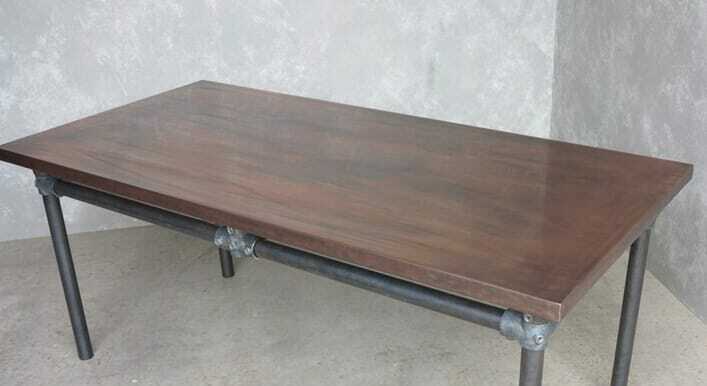 This table has been handmade here at UKAA. 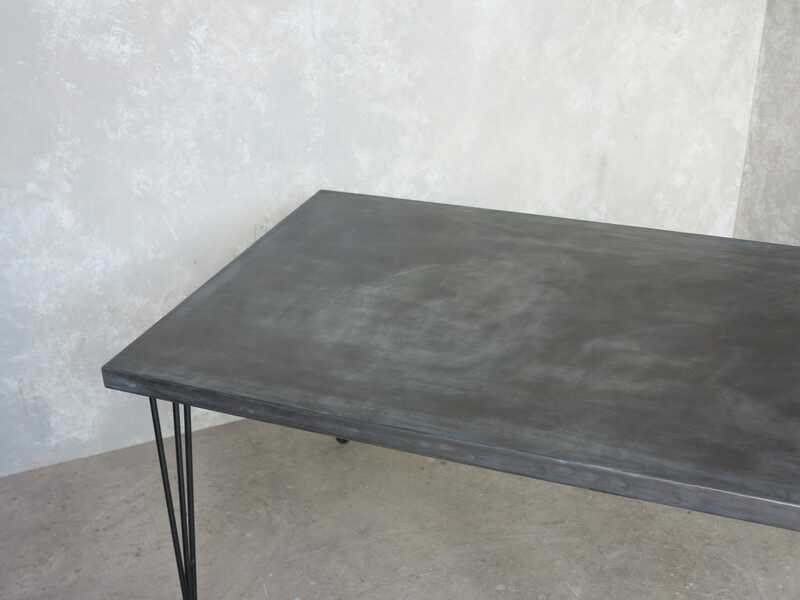 This finish is Antique Zinc. 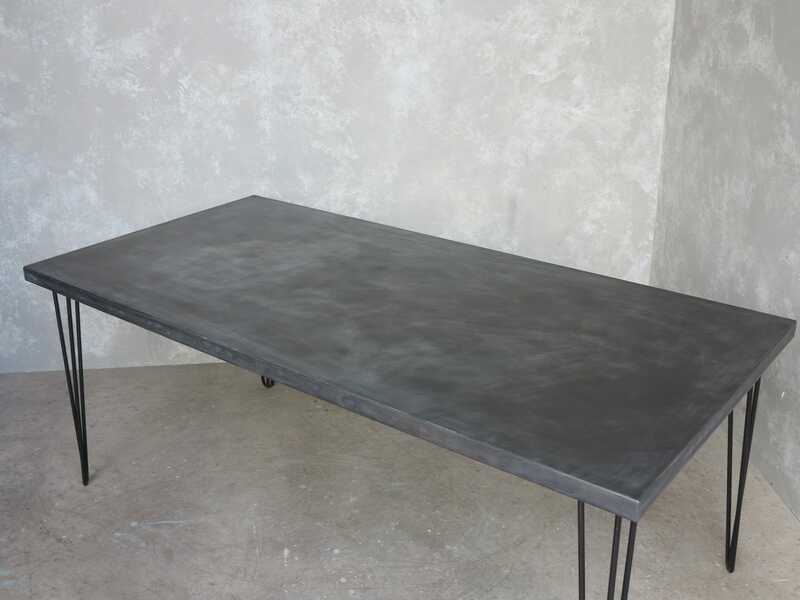 The top is covered in natural solid zinc and NOT an inferior plated finish. 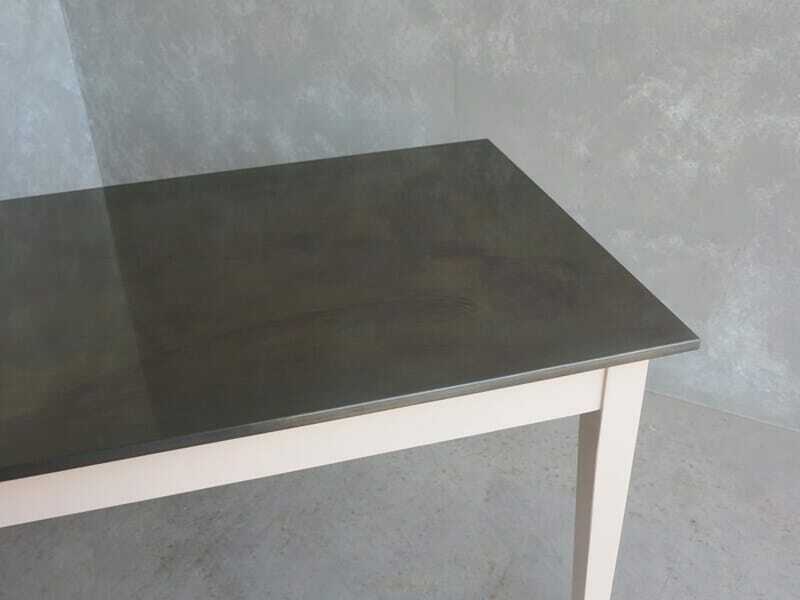 Zinc is ideal as it is has antimicrobial properties. 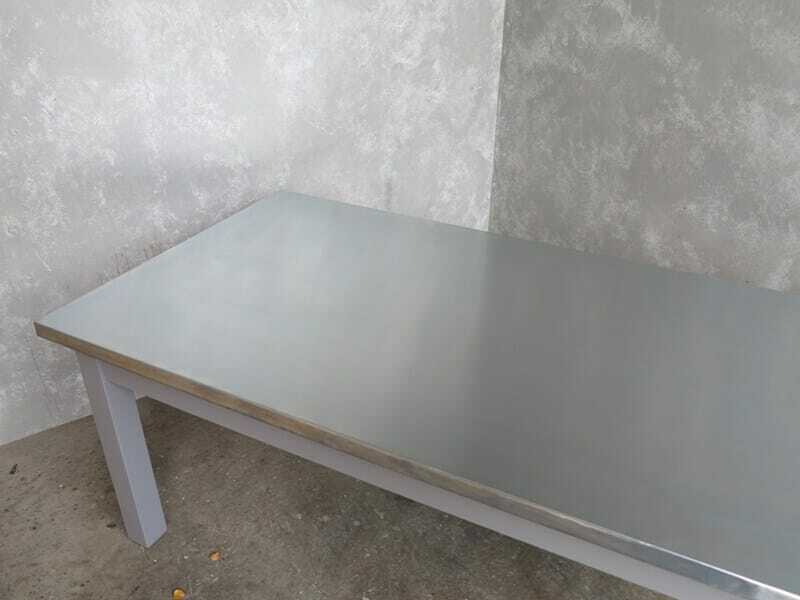 Zinc is suitable to use in kitchens and for table tops, it is a hard metal that is safe to use in food preparation with the advantage of the more you use the table the better the look. 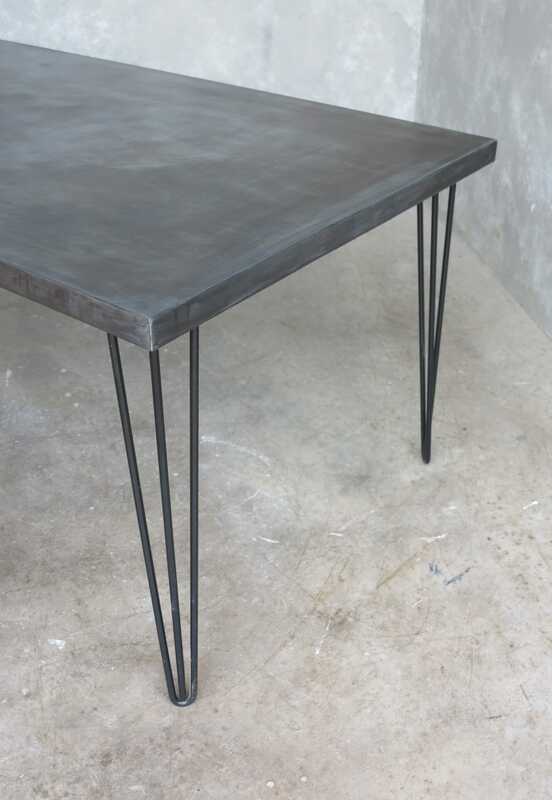 The legs are a hairpin style and are black. 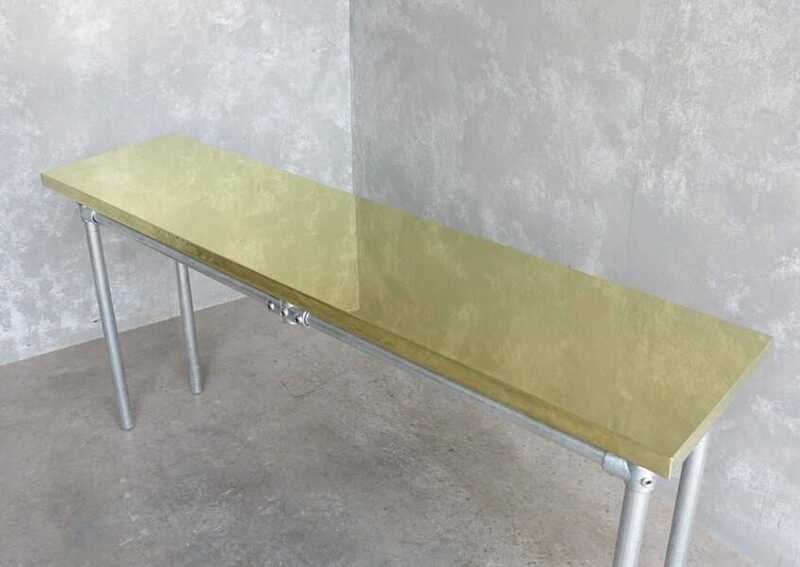 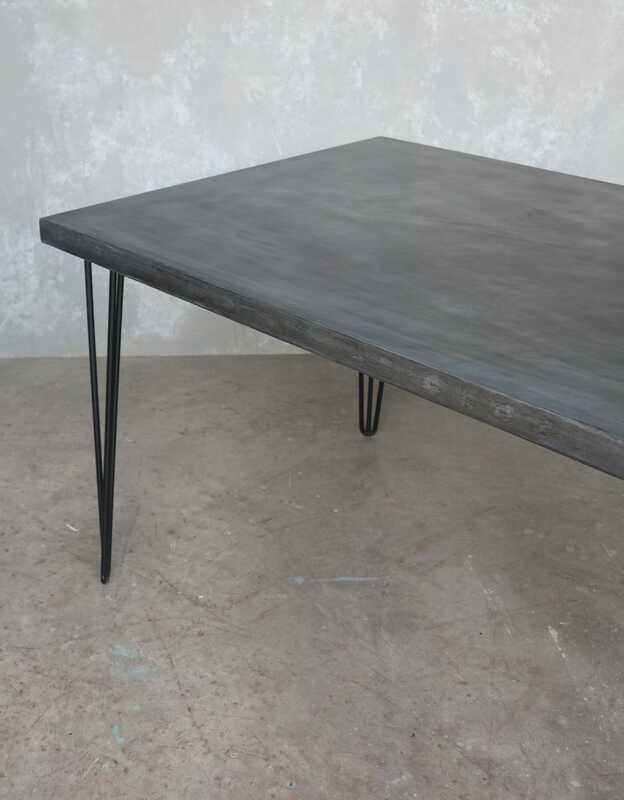 We can make you a table like this - very fine lines with no frame - there are lots of legs available online for you to choose to go with such a table top. 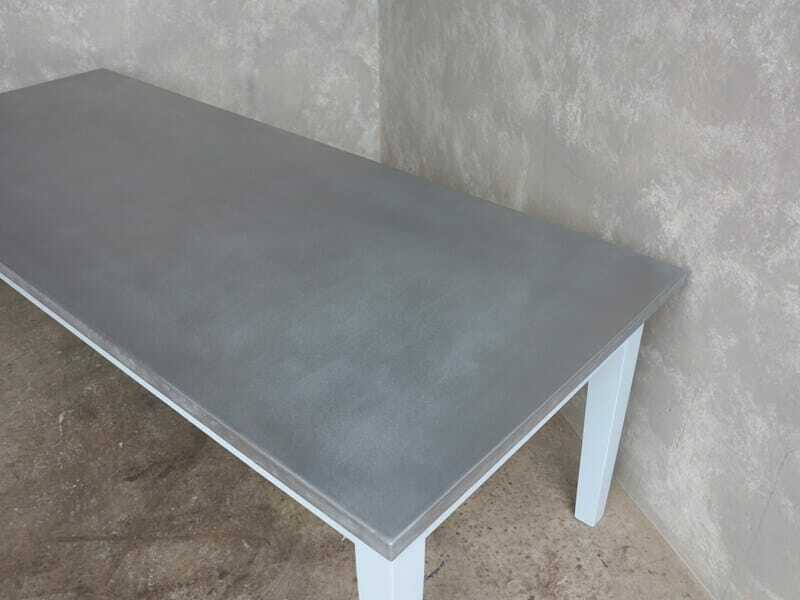 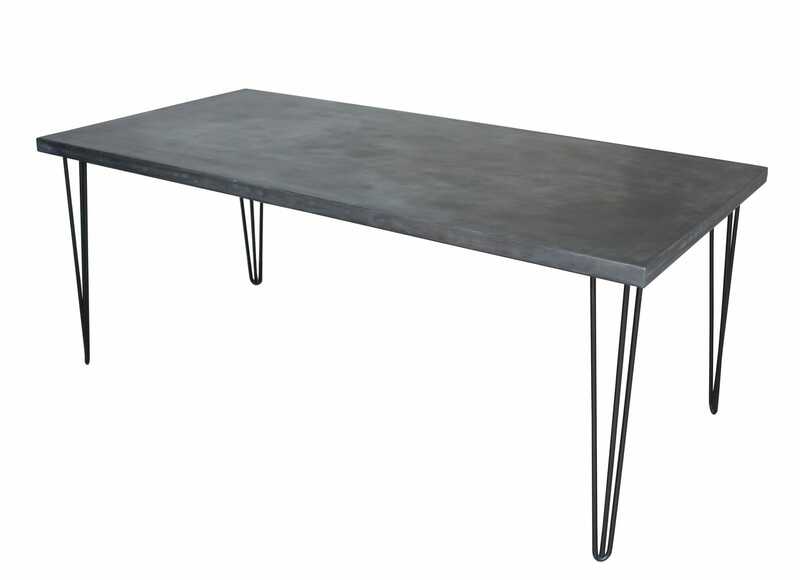 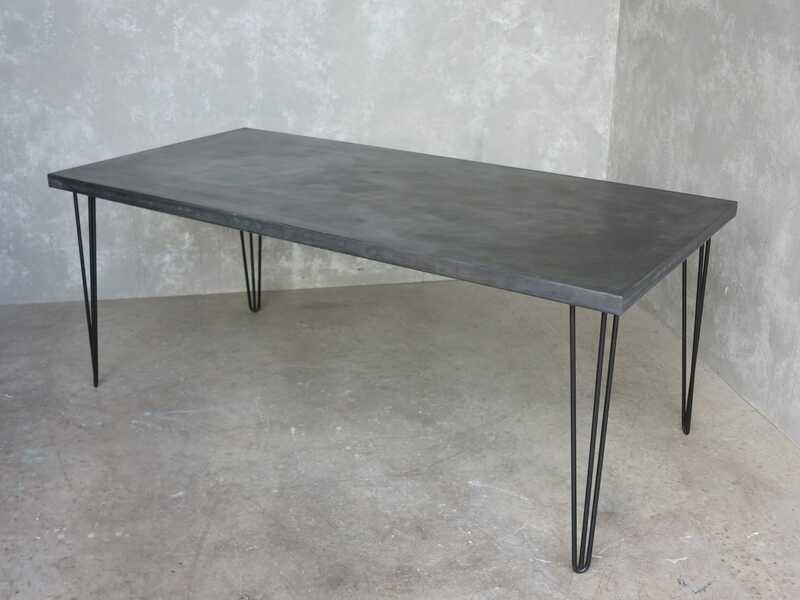 The maximum size we can make in Zinc would be 240cm x 96cm x 45mm thick top the cost for this would be £1250 inc vat. 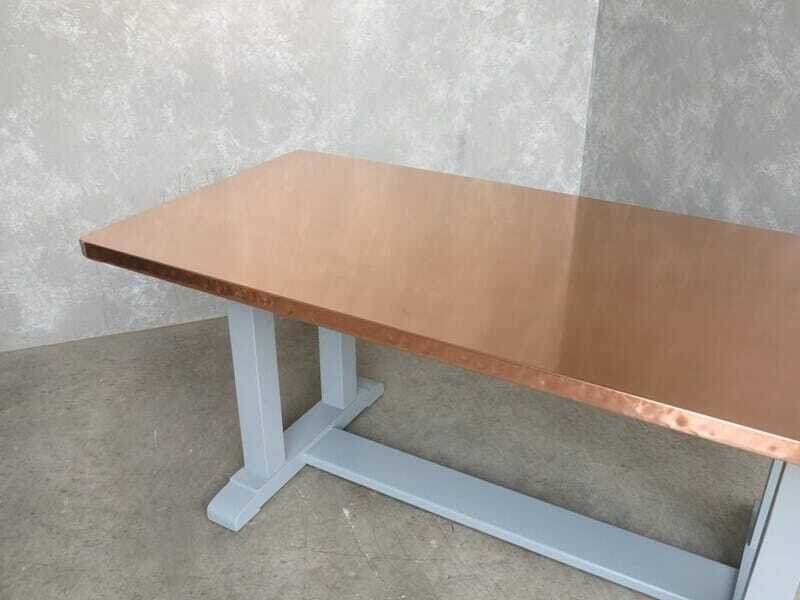 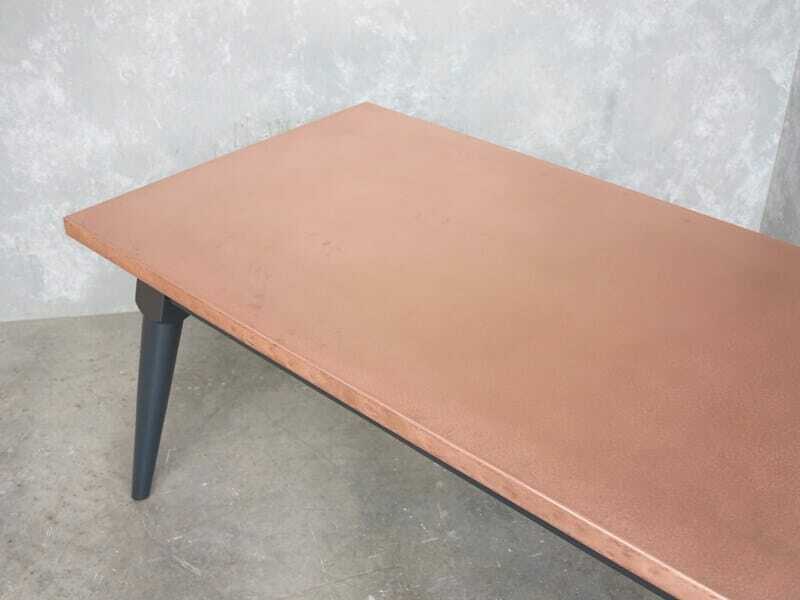 The maximum size we can make in Copper or Brass would be 186cm x 86cm x 45mm thick top the cost for this would be £1250 inc vat.